Should the Opel Corsa OPC prove to be a tad too extreme, the Opel Corsa S has arrived to offer a lighter take on the hot hatch’s thrills. Inspired by the Opel Adam S, the Opel Corsa S takes cues from the latter and design and aerodynamic bits from the Corsa OPC. Under the hood is a 1.4-liter turbocharged four-cylinder engine that makes 150 horsepower, which allows the luke-warm hot hatch to reach 62 mph in just 8.9 seconds. “The new Corsa S is exactly the right choice for all sporty drivers who need a few more horsepower under the hood, but want a little more space than in the Adam S,” per Opel’s description of the Corsa S.
It will likely be pretty difficult to decipher a Corsa S from Corsa OPC, since the S receives an OPC aero package. The exterior sports a front spoiler, side skirts, a rear bumper diffuser and a rear wing. Appropriate attire, we’d say. 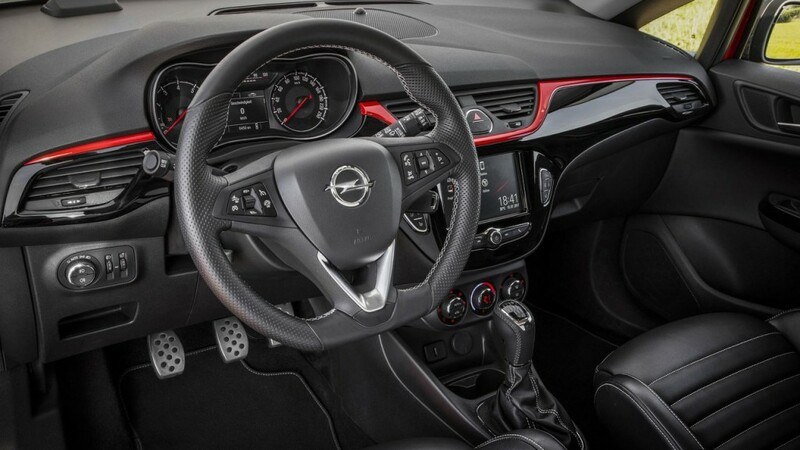 Inside is properly outfitted as well with a flat-bottom steering wheel, Recaro leather sports seats and a mix of piano black and red colored details. Opel will offer the Corsa S as both a three- and five-door model. The three-door starts at €18,400, or about $21,575 at current exchange rates. The five-door starts at €19,085 or about $22,375. And with that, we add yet another hot hatch to the list of North America’s forbidden fruit. All show and no go is not what the NA hatch market needs. It’s not so much forbidden fruit as it is unwanted fruit. The Available Sonic Premier with the RS package is equivalent to this 150HP wonder at about the same price.